The collection planned for the Oxford Food Bank this Saturday has been postponed. Please don’t bring any donations this week! It will now be held before the Sunderland game on Saturday February 9th. We would like volunteer helpers on that day so please email enquiries@oxvox.org.uk if you are able to spare some time in the run up to kick off. The Club website gives further details of the postponement here. 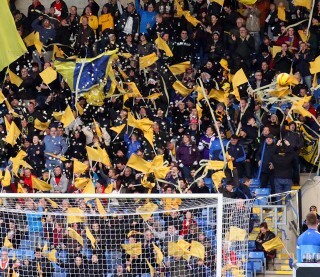 We will nevertheless have a stall in the South Stand bar this Saturday, so come along if you want to talk about anything OUFC related, join OxVox, or renew your membership.